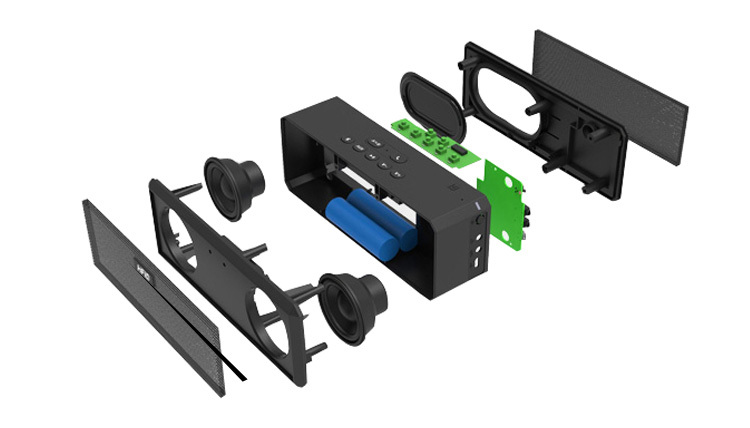 What is the features for 40W Daisy Chain Stereo Bluetooth Speaker? 3. 20W RMS outpower, real powerful stereo sound, amazing music experences for you. 4. 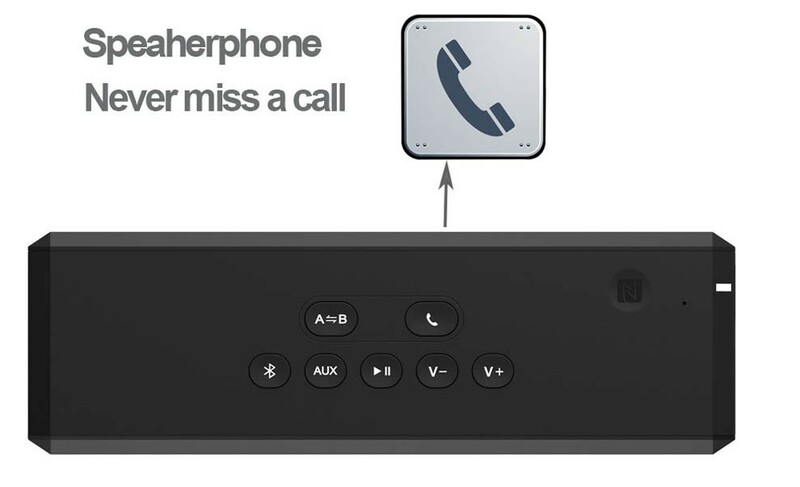 One phone can pair two speakers together by Bluetooth, Individual also works. 5. CE, Rohs, FCC, BQB certificates. 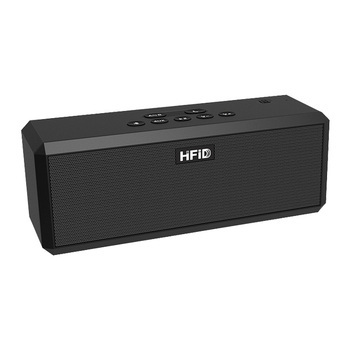 What is the specification for 40W Daisy Chain Stereo Bluetooth Speaker? 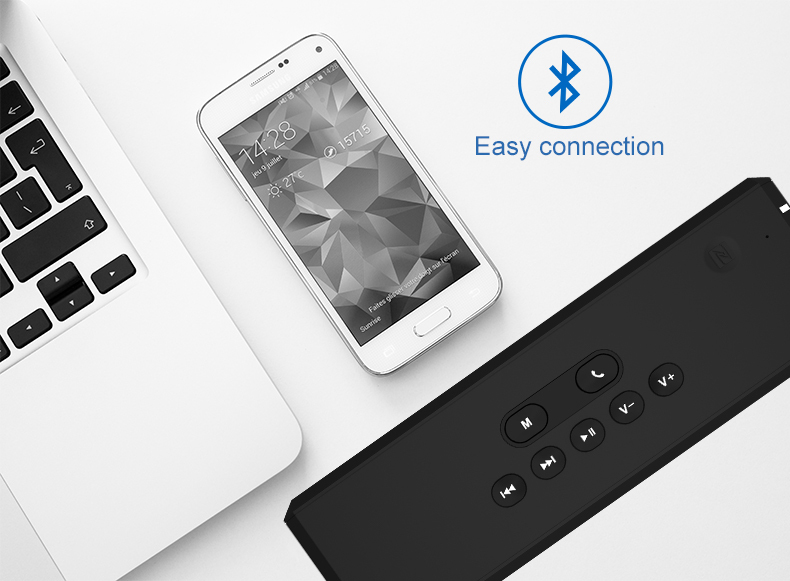 [Completely Wireless]Stream all your digital media from any Bluetooth device and control HFD-869TWS from across the room, or use the buttons on top to pause, play, and skip. With a built-in rechargeable battery that last up to 12 hours, you can party all day or night—anywhere. One phone can pair two speakers together , one will be left channel, another will be right channel, give you real stereo sound experiences, not only listening to music but also watching moives. [Booming Powerful Bass at Crystal Clear Loud]Dynamic DSP and incredible sound quality performed by 20W*2 speakers with two pieces bass radiators also Maxx Technology built-in for ultra clear and nature sound. Whether you're partying, working out, or just lounging around the house, enjoy a full-range stereo sound with impressive volume. 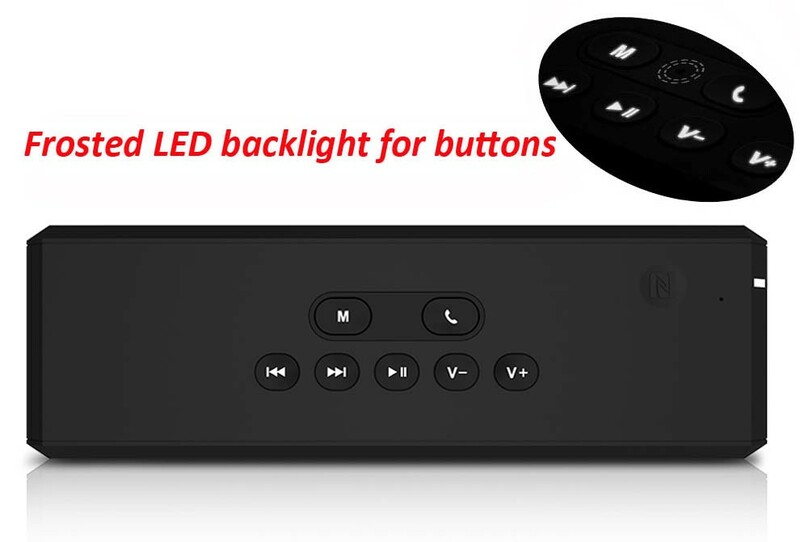 What you can get for 40W Daisy Chain Stereo Bluetooth Speaker?